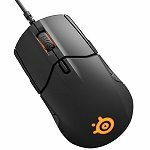 Looking for the best mouse to use for CS:GO? Take a look at my guide, based on hand size and grip, below. Despite popular belief, when it comes to First Person Shooters like Counter-Strike Global Offensive, the most important thing is not the sensor. As long as the sensor is decent the shape, weight, and balance are going to have a greater influence on your aim. 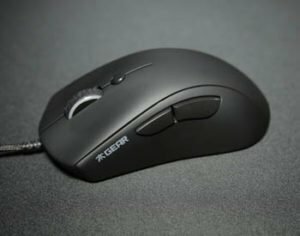 Everyone has different hand sizes and grip styles, so a list of Top 10 FPS mice is almost impossible, but you should be able to find something in this Top 10 to try. What is this list based on? 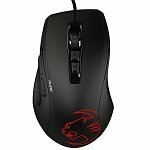 I’ve written other top ten lists for gaming mice and they’re all different because they have different rules. Here I’ll include as many factors as possible, combined with my overall preference and what most people in the FPS community say that they want. It’s also based on the mice I’ve tested. And there are two things to remember: There is no such thing as the perfect mouse, and what’s right for others may not be right for you. 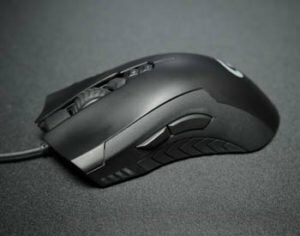 Here’s a look at the 2017 version of the top CSGO gaming mice. You can find additional options below this table which were the top recommendations for the middle of last year. The Revel is really similar to the old SteelSeries Sensei, but it doesn’t have side buttons on the right, just on the left. It also doesn’t have the slight hump toward the back, giving it a smaller feel. It’s a very popular shape with a top sensor, and it’s still relatively cheap. The build quality isn’t the best, but at a low weight of 84g, that’s ok. It’s a bit lower than others so generally it’s more for fingertip and claw grip, but for some hand sizes, it might be alright for palm too. Roccat’s new Kone Pure has some great upgrades. That being said for me personally, I miss some things from the Military Editions. The rubberized sides and possibly the best scroll wheel ever are some of them. It still has the same odd shape that is either loved or hated, but it’s a top recommendation for claw grip for people with hands under 19cm long and 9cm wide. Overall, the Nixeus Revel has a top sensor, all around fairly high quality and a low weight, although with some build concerns. So the Revel could be your number 1, or a mouse you ignore. It’s really up to you. Will this be a mouse you love or hate? These three models all have the same shape. Two of the models are identical except for where they’re sold. 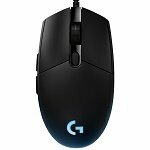 The G102 and G203 are the same, and while the G Pro is the more expensive mouse, you could argue that it’s not as good as the two cheaper ones. Why? Because even though they don’t have the 3366 optical sensor, they do have a sensor that performs just as well as the 3366 during in game testing. I found no disadvantage to using the mercury sensor. 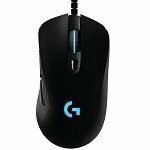 So, combine that with the better cable (thin, smooth rubber), and most competitive players are probably going to choose the G102 and G203. I’m with them. But if you want absolute peace of mind, you could just go for the G Pro. Either way, all 3 are great and have pretty much everything right… it’s just the bulging shape of the sides that turns people away a bit. This is definitely one of the best small mice ever made. The latest Sensei has the upgrade we all wanted – a top optical sensor. There’s a lot of advertising going on with this one, but from my testing, it’s a 3360, and while that’s awesome, it’s not special compared to the 3360 in other mice. They also have new details and grips on the mouse. Some will love them, others might not like them, but I’m sure most can agree it’s a top mouse. The weight is low enough, the size is decent, the quality feels pretty good, and as always, it could be made even better, but for now, it’s the best Sensei ever. There are buttons on both sides so beware of accidental clicks. If you find this to be the case, you may want to disable the offending buttons. against the shell in a claw grip. 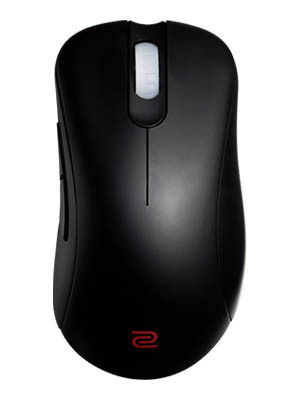 The Zowie ZA series uses Huano switches and has a fairly tight shell that affects the buttons. 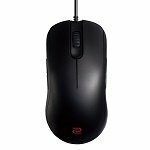 However with a top optical (3310), the smoothest and most flexible rubber cable, low weight, and Zowie’s usual brilliant design skills, it still finds its way into the top mice list. Shape is extremely important. Some people question why Zowie rank so high and shape is the answer. They do need to work on their main buttons and scroll wheels, though. This mouse also comes with no software! If you’re using the scroll wheel a lot, then keep that in mind. 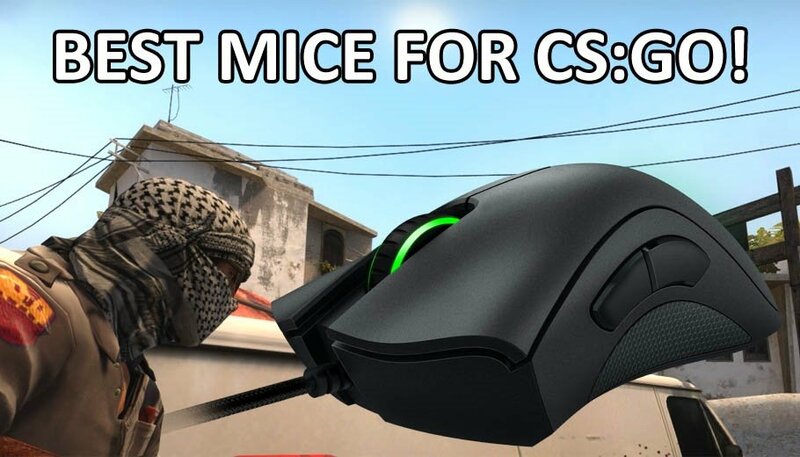 The reason these mice are still recommended for CS:GO is because they’re so good for aim, which is arguably more important than a perfect scroll wheel. These come in 3 sizes. ZA11 is the largest, ZA13 is the smallest. They have buttons on both sides, but only one side is able to be activated. 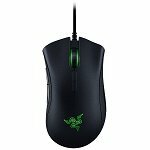 Possibly the best selling mouse ever, the DeathAdder got yet another upgrade. The Elite is the best so far, with a top optical sensor, 2 extra buttons, renewed grips and materials, lighter weight and one of the best braided cables on the market. 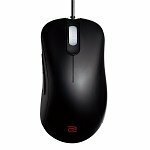 It’s a large mouse and good for all grip styles, so this is one of the safest choices around in terms of finding a mouse you can aim well with that’s comfortable. The Rival 300’s unique shape really sets it apart from the competition But it had some issues, including spin outs, despite being a 3310 sensor. The Rival 700 was smaller and had some awesome upgrades, but was way too heavy for most competitive players. 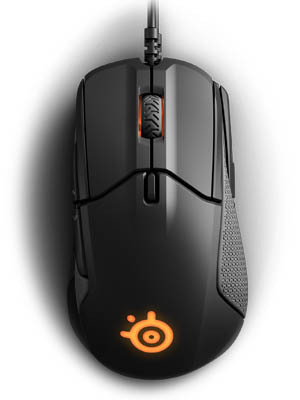 So here we are with the latest, the Rival 310. It’s kind of in between the Rival 300 and Rival 700 size and design wise. It uses a top optical sensor and is light weight at only 92g. 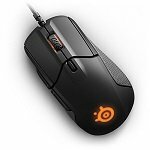 From my point of view, this marks the return of SteelSeries in the top mice market. I love this mouse. It’s great fun to use and aims quite well. If it suits your hand size, it’s definitely worth a look or two! 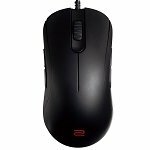 Zowie remain at the top of the list despite having issues with their side buttons (on the EC series only), main buttons (usually too tight, latest models seem better) and not-so-good scroll wheels. Shape really is that important. These are a joy to use for many competitive players and they really do help them aim better. That said, they’re not for everyone… I mean, you can always find someone who doesn’t like something. So while I love this series and many others do, I can’t hype it too much because I know some of you won’t like them. The latest models have some good small improvements to the buttons. Otherwise, it’s the same EC series, 3310 sensor, Huano switches, light weight and an amazing shape that will suit all grip styles. 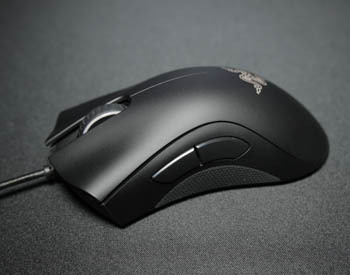 And it comes in two sizes, EC1-A is the largest, basically DeathAdder size. being the largest. The FK1+ is actually close to the Razer DeathAdder in size. The FK1 is more like the SteelSeries Sensei. They’re very different to those mice though. As usual, Zowie are showing how it’s done with the shape. While some mice may seem like they’re similar, once you hold them, you understand just how different they are. 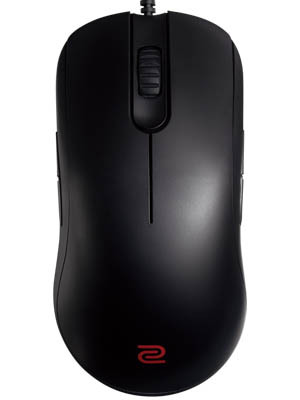 These mice are lightweight, have a top optical sensor, use Huano switches, and have an amazing shape. I’d recommend these for fingertip and maybe claw grip. This is easily one of the most popular and best mice on the market. That being said Zowie still needs to fix the scroll wheel. Like the EC-A series there are buttons on both sides; however only one side may be activated. Buttons on both sides, but only one side is able to be activated. 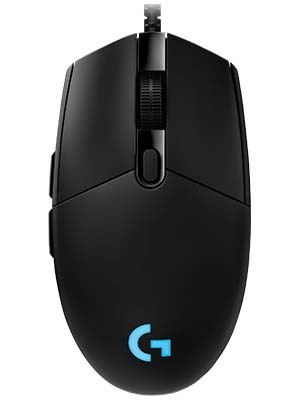 The Logitech G403 is the reigning king. Ever since its release, the G403 has stayed at the top. It uses a 3366 sensor, has amazing buttons, a great scroll, rubber grips, low weight, and additional weight can be added.. It’s also a very comfortable and good shape. In my opinion, it can take some getting used to, but most people really enjoy it after the first week. So, does it have any issues? The cable is thick and heavy, but you can get around that with a mouse bungee. The shape, scroll wheel, and cable are the 3 things I’ve heard complaints about, but given how good everything is on the mouse and that no mouse is perfect, it’s easy to look past those. 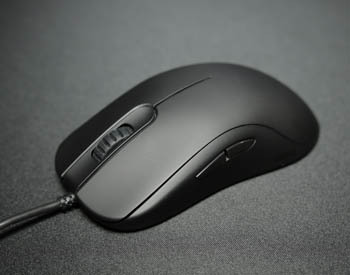 I’ll mention here that most people really like the shape, I’m just pointing out that one mouse won’t suit everyone, even one as good as the G403. And if you’re ok with extra weight in a mouse, you could even get the wireless version! 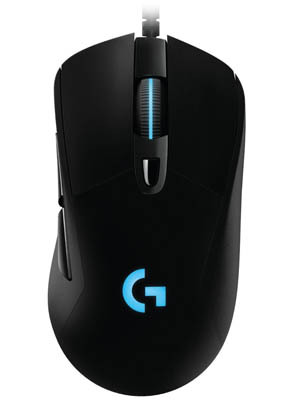 The G703 can be charged wirelessly, otherwise, it’s the same mouse as the G403 wireless. Both are worth a look, depending on your needs. Can’t find an option above that will suit you? Here are ten more gaming mice that were the top recommendation for last year. The Gigabyte XM300 uses a top sensor in the 3988 optical, has a very familiar shape with some great features, including Omron switches (last a long time, light clicks), and it’s very well priced! It has an RGB light on the back, but a bit of an issue with displaying a solid color at 1000hz, best to leave it on 500hz or use color cycling. 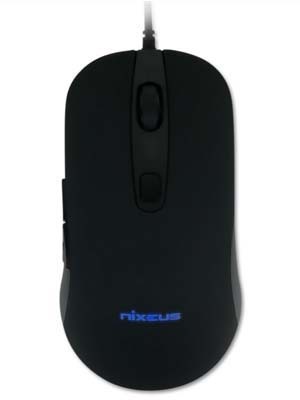 Suited to all grip styles depending on hand size, just a great mouse, but it does have some build quality concerns and it’s slightly over 100g. Still, the reason it gets recommended so much is the price. If you’ve ever asked “What’s a cheap mouse with a good sensor?”, the Gigabyte XM300 is one of the answers. 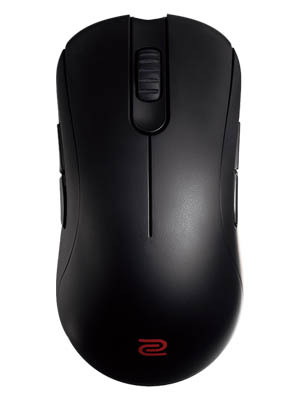 *The grip measurement is how far apart your fingers should be when picking up the mouse. The base measurement is an indication of how far apart the feet are. From cheap to the most expensive, the G900 is impressive. It has the best sensor available in the 3366 optical, mechanical switches for left and right buttons, and an ambidextrous modular design that let’s you choose which side of buttons you want or even both! In addition, it has a free scrolling wheel and RGB lighting. The best part is that it’s the only wireless mouse I’d use in competitive FPS gaming. I’m still not sure if there’s any delay, that’s how good it is! This is by far the best all-rounder I’ve ever used and it’s currently my daily driver. The only reason I switch from it is because of the shape, size, and weight. Considering the features, it’s an amazingly light 107g. I prefer smaller mice though, and this is medium to large. The reason it’s not higher on this Top 10 is that it might be too expensive for people. If the above doesn’t concern you and you think you’ll like the shape, this might be number 1 for you! The Fnatic Flick uses quality materials, is lightweight, has Omron switches, a top sensor in the 3310 optical, is medium size, has RGB lighting, and software. It’s a great mouse that’s a lot of fun to use. Its problems are that it has a high lift-off distance (plus a jitter issue when lifting it) and that it’s a bit thin at the top and has a slightly awkward shape overall. Personally I also really like the side buttons. Unlike others that try for gimmick angles and edges, these are just very flat (without being sharp), large and easy to press in. The scroll wheel has a decent amount of feedback, but still remains quite smooth. Just a note, like many scroll wheels, they can rattle. If the issues I mentioned don’t bother you, then I recommend checking this one out. 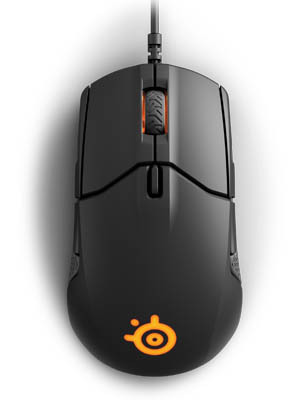 Very popular among FPS players, the SteelSeries Rival 300 mouse sets a standard. It has a natural hand position and a comfortable shape but the front might be a bit thin for large hands, and it might be too big for small to medium hands. This is actually an alternative to the Razer DeathAdder, which is often too wide for people with medium sized hands. It’s slightly heavier at 103g, but I did find myself aiming better and more comfortable using a palm grip. 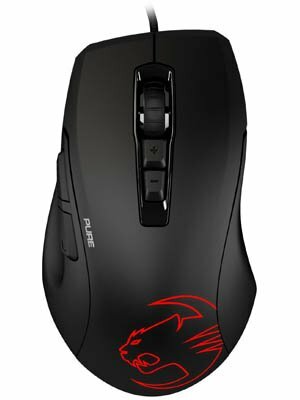 You can also see this mouse on our list of gaming mice for Overwatch. The buttons are good but it seems the gloss plastic (white version) can develop squeaky clicks. I’d say it’s best to go with the black version instead. The scroll wheel is a bit low but still usable. Other than that, it’s a great mouse! The Razer DeathAdder Chroma is one of the most popular mice of all time and with good reason. Despite the quality concerns I’ve heard from some, the DeathAdder has the most responsive sensor in the 3989 optical. In addition, it comes with Omron switches and that fantastic old school shape. Best of all, it suits people with large and small hands, and it can be used with all grip styles. The Razer DeathAdder Chroma could still use some improvements, but it’s still a solid mouse for gaming. This mouse has an odd shape, but it’s quite good, especially if you have small to medium hands and use a claw grip. I use it with a hybrid palm and fingertip grip and it’s fairly comfortable. It really depends on what you like. The scroll wheel is the best I’ve ever used. 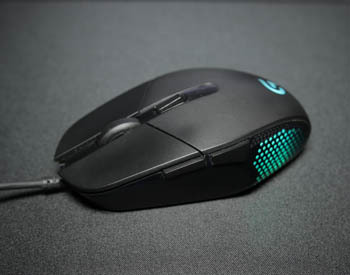 Specs for the mouse itself include a 3310 optical sensor, Omron switches, only weighs 92g, has some extra buttons and features, and RGB lighting on the back. It’s still one of my personal favorites. I highly recommend it, but of course, it’s not for everyone. Pictured is the Desert Strike version, but try for the Naval Storm (grey). Palm - 15-17.5cm / 5.9-6.9"
Claw - 16-19cm / 6.3-7.5"
You either love the shape or hate it. If you love it, this is a mouse you should own. I used the G302 for 9 months and played some of my best matches ever. It has the best sensor in the 3366 optical, Omron switches that are separate from the main shell, and it’s really light at only 86g. It’s suitable for claw and fingertip style grips. It could also be used with a palm grip if your hands are small enough. Overall, it’s a great choice. The problem is that it can suffer from lens and sensor rattle. If you get one with these issues, please return it! I’ve heard Logitech have fixed it now though, so hopefully you get a good one. Even with that risk, I still feel it’s worth a try as it’s such a great budget mouse. Take an extremely popular shell, remove the buttons on the right, upgrade the sensor (3310 optical), make it lightweight, and you have a winner. That’s what Dream Machines did for this mouse and it’s proven to be a good move. 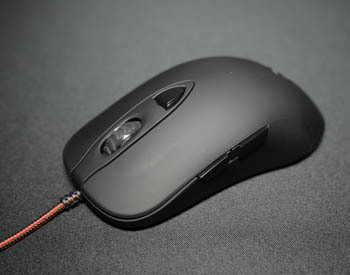 The DM1 Pro has nice rubberized materials, but is just a bit weak on the side buttons. They’re still good enough and have a low travel distance. Overall there aren’t many negatives about this one, other than the lack of software and the cable being a bit stiff. Also, they’re just releasing the new version with the 3360 sensor called the “Dream Machines DM1 Pro S”. It’s a bit more expensive, but may be worth the upgrade. I couldn’t believe the shots I was hitting when I first used this mouse. I had it recommended by some other top players and of course, I didn’t believe them. But yes, shape, weight and balance really do have a big influence on your aim. The side buttons are pretty bad, left and right buttons are a bit tight, the scroll doesn’t feel good, there’s no software (some say this is a feature, not a disadvantage), and it doesn’t look all that great, but we don’t care. We play so well with it, we can forgive all its faults. It’s one of the most comfortable mice I’ve ever used and it suits all grip styles. Top sensor (3310 optical), around 100g, highly recommended. Palm – 16 to 19.5cm / 6.3-7.7"
Claw – 16.5 to 19.5cm / 6.5-7.7"
Fingertip – 17.5-20cm / 6.9-7.9"
Personally, this is the mouse I use for CSGO. Like other Zowie mice, there’s no software. For specifications, they’re using the 3310 optical sensor, high-quality plastics, Huano switches, which are a bit tight, especially being part of the main shell, and unlike the EC series, the side buttons are good. These are fingertip and claw grip mice because of their low height. But with low weight and an ambidextrous design, they’re a great choice for many people. 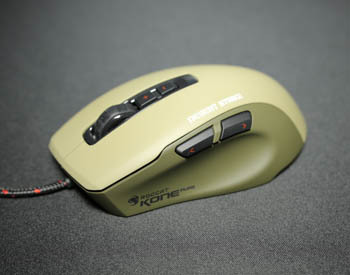 Also as of note, I used palm grip for years but have now switched to fingertip because of this mouse. I know if I’m missing shots, it’s not because of the mouse, and that’s actually very helpful when under pressure! The cons would be the scroll wheel and tight buttons, everything else is great. Just a warning, some people do click the side buttons in accidentally. This is only about 25% of people though, so not a big concern. They’re very well positioned and shaped. 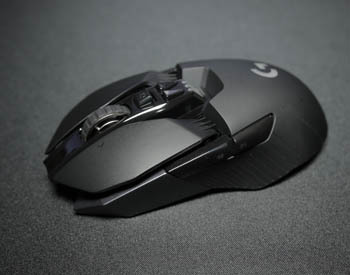 Small hands – Try for mice smaller than the Logitech G302. 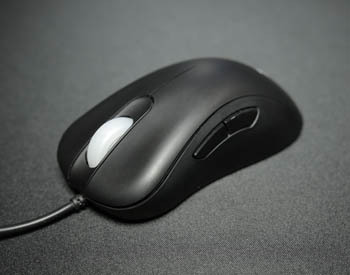 Medium hands – Look for mice that are similar to the Logitech G302 (small mice). 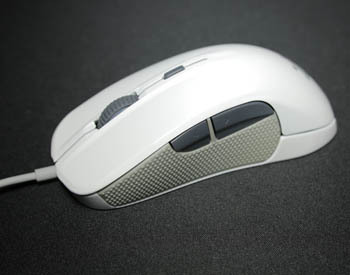 Large hands – Go for mice between the G302 and DeathAdder (medium mice). 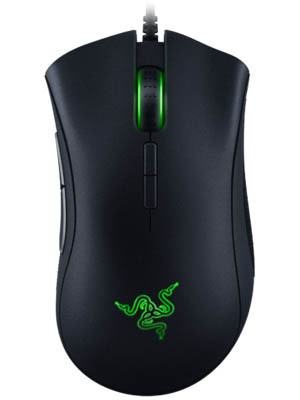 Extra large hands – You don’t have many options, the biggest are DeathAdder size (large mice). Hope that helps with your mouse search. Good luck and have fun! A quick introduction, my name is Zy, also known as Rocket Jump Ninja. 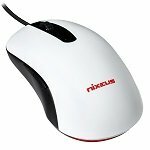 I’ve been using gaming mice for over 15 years, mostly in FPS, and I’ve now reviewed over 50 mice.